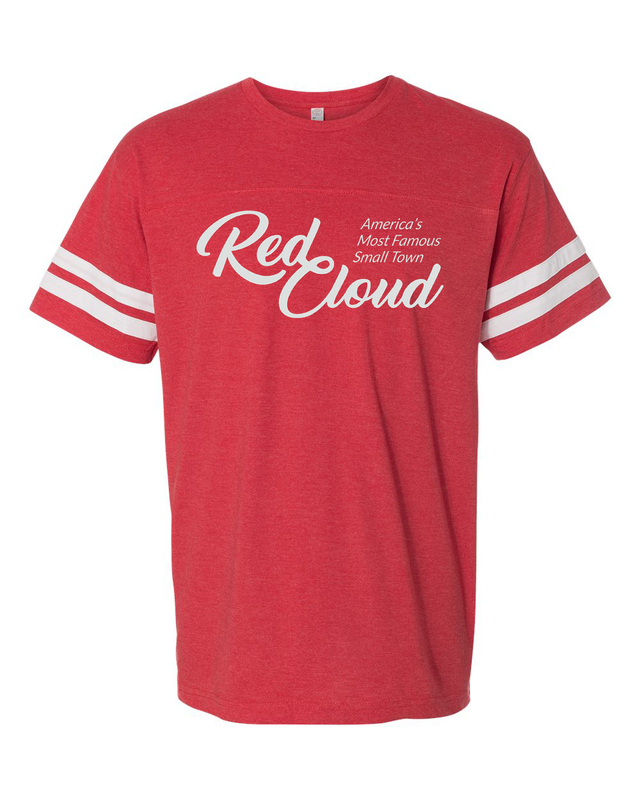 The Red Cloud Chamber is a non-profit organization that operates on membership dues and dollars generated from fundraising events. 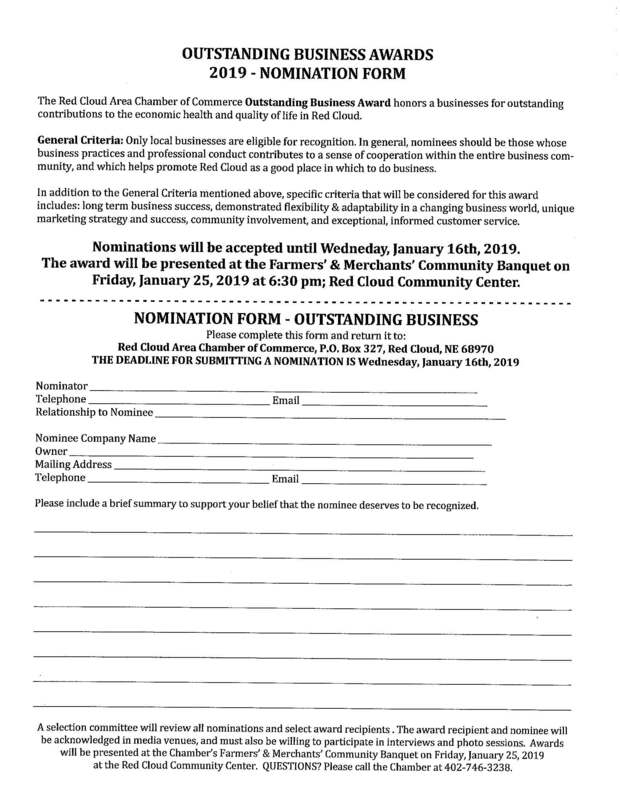 They are working to help the community bring in new businesses, support existing business, and share the splendor of the community with others. 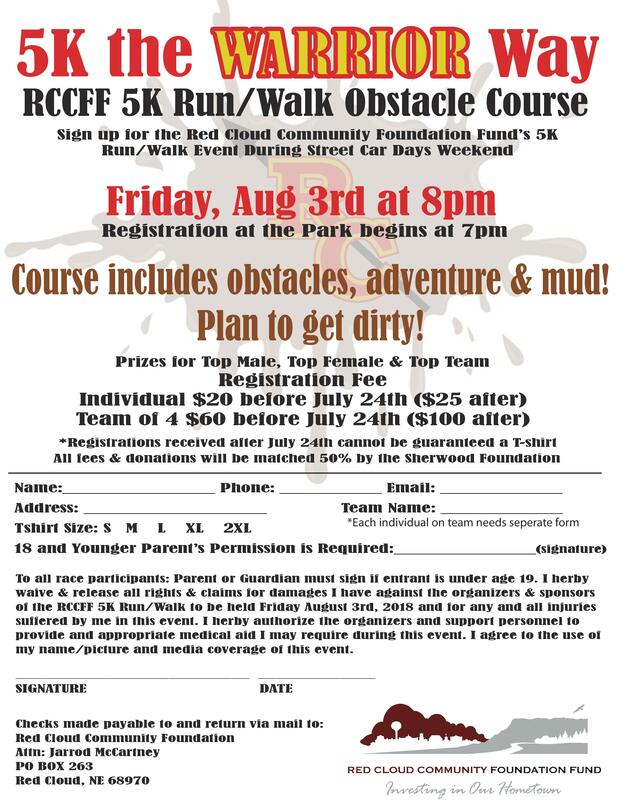 The yearly dues are $100 for businesses and $50 for individuals. New businesses receive their first year of membership for free. Everyone is welcome to attend the monthly meetings, which are typically held at 5:30pm on the first Thursday of the month at On the Brix. And in general, to promote the welfare of all area citizens, following always those policies intended to accomplish the greatest good for the greatest number. 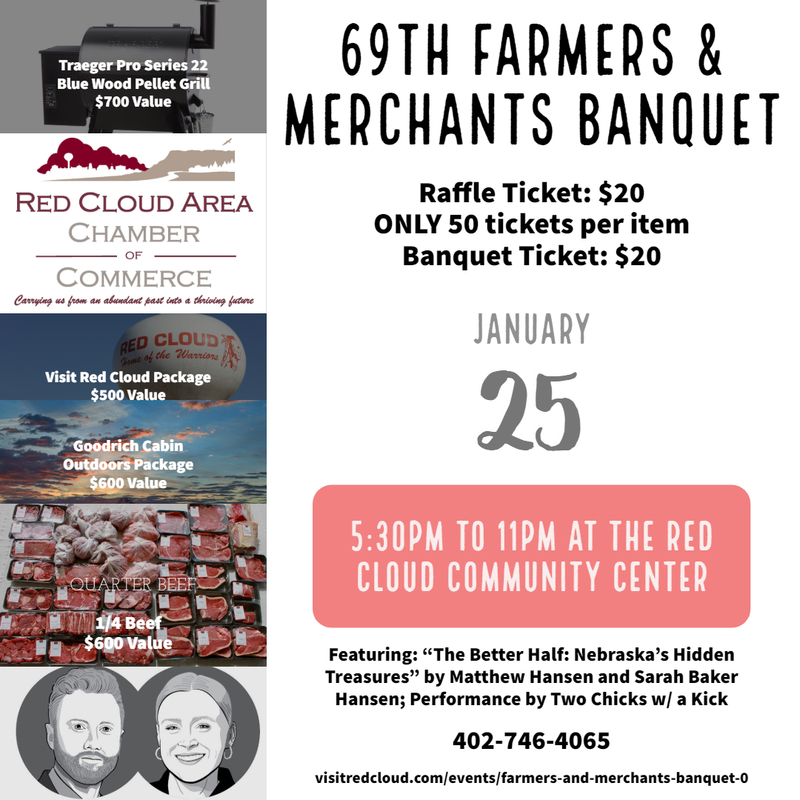 Held every January, the Farmers and Merchants Banquet allows the Chamber to honor area businesses. Each March/April, the Red Cloud Tourism & Commerce hosts an Easter Egg Hunt in the Red Cloud City Park. 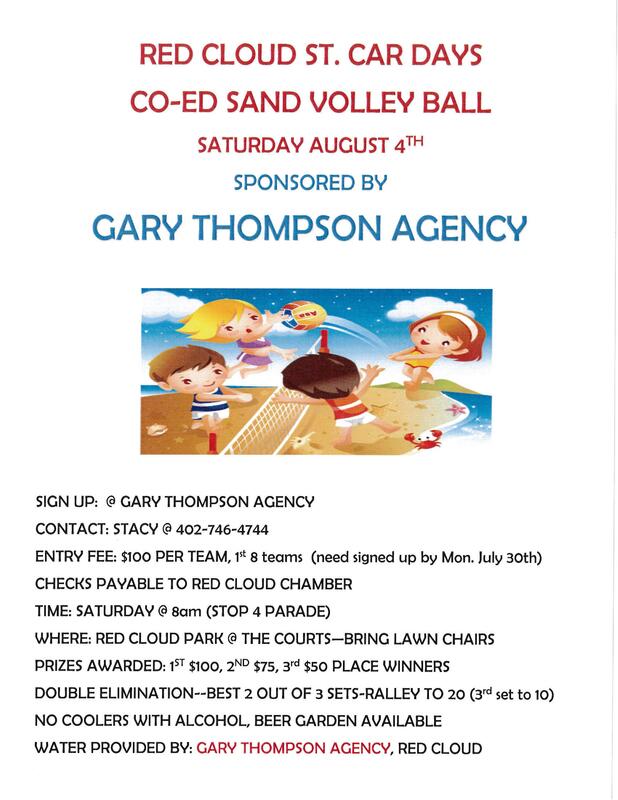 Starting in 2019, we will also host a movie at the Red Cloud Opera House. 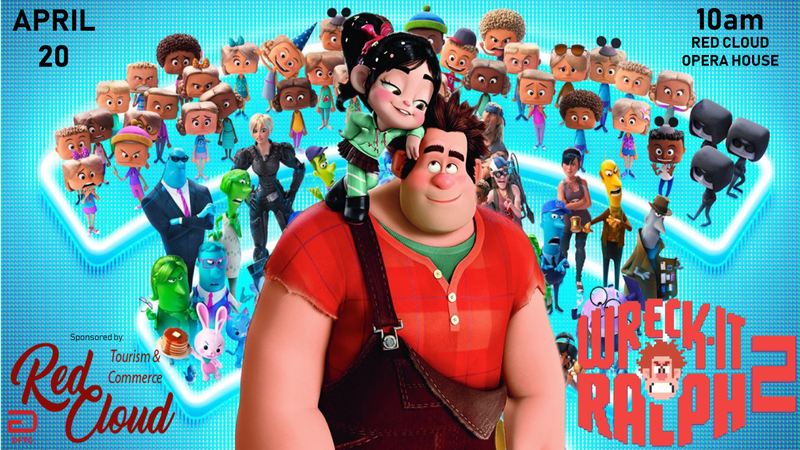 The 2019 movie is Ralph Wrecks the Internet, which will be shown at 10am in the Red Cloud Opera House Auditorium. 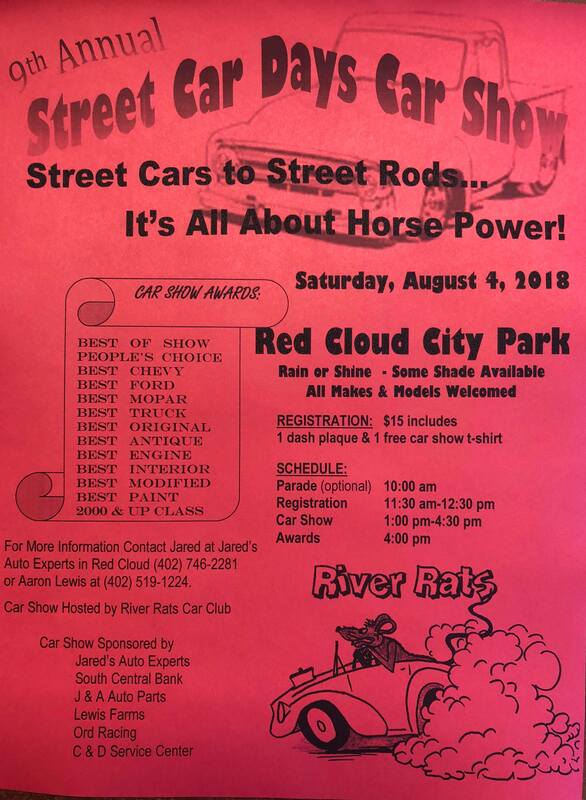 Red Cloud’s annual festival will feature its usual array of fun activities for locals and visitors alike! 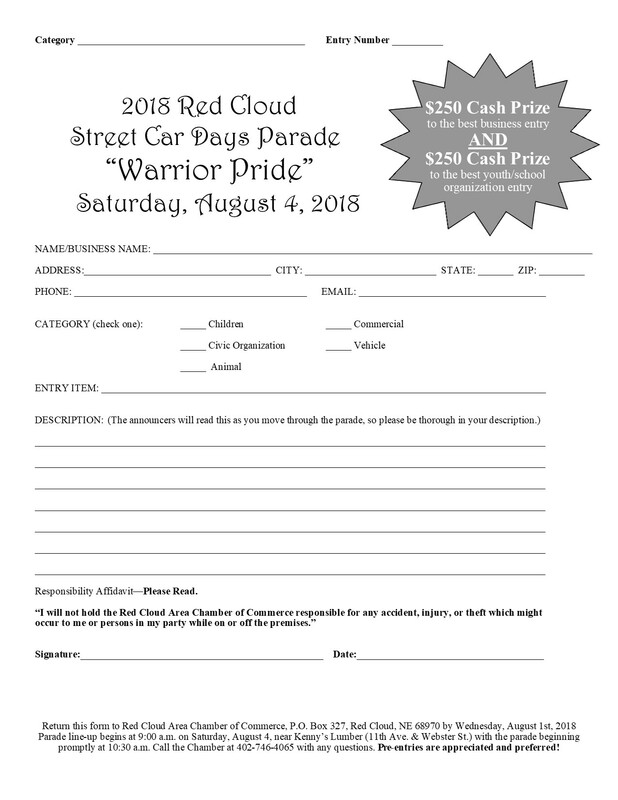 Click on anyone of the documents below to find out more information--this year's parade has improved prizes so be sure to check it out! Red Cloud's Annual Night Out to do some Christmas Shopping Downtown. Stay tuned for updates. 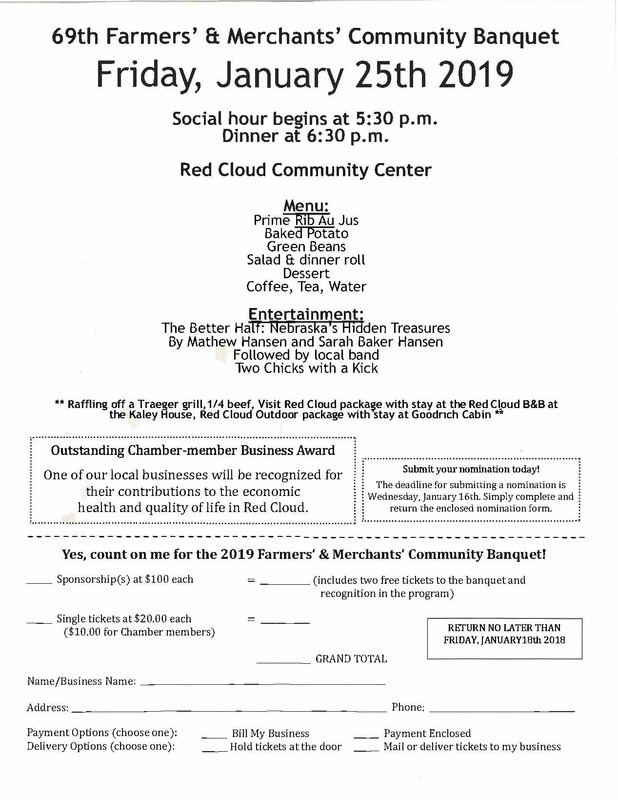 During the Christmas season, the Chamber works with a variety of businesses in Red Cloud to bring Santa to town. Check back for updates.